Howard Williams is Professor of Archaeology in the Department of History and Archaeology, University of Chester. Benedict Wills-Eve is a PhD candidate in archaeology at the University of Lancaster. Jennifer Osborne is an independent scholar based in the UK. From the tomb of Tutankhamun to the grave of Richard III, archaeologists have studied, displayed and debated rich and varied evidence of the burial and commemoration of the dead from past times to the present day. Mortuary data is not only a key window into the human past, it defines and resonates through 20th and 21st-century popular culture. Yet, in many regards, archaeologists’ engagements with death and the dead are contentious and problematic, emotional and political. For instance, in what circumstances if at all is it ethical to dig up and display human remains? What do people learn from meeting ancient people in museums and heritage sites? How significant is mortuary archaeology in our own present-day imaginings of prehistoric and historical societies, as well as fantastical and fictional societies portrayed in literature and film? Tackling questions such as these, osteoarchaeologists and mortuary archaeologists have often found themselves at the forefront of the public engagements for interdisciplinary and archaeological research. This book identifies a series of lacunae in recent discussions of mortuary archaeology’s interactions with contemporary society. It aims to re-evaluate the range and character of public mortuary archaeology critically through a range of case studies from the UK, Europe and farther afield. In particular, this book seeks to address a network of relationships between mortality, material culture and archaeological theory, method and practice through a series of themes that connect the digging, display and dissemination of mortuary contexts and remains with wider popular culture themes and media. From the tomb of Tutankhamun to the grave of Richard III, archaeologists have studied, displayed and debated rich and varied evidence of the burial and commemoration of the dead from past times to the present day. Mortuary data is not only a key window into the human past, it defines and resonates through 20th and 21st-century popular culture. Yet, in many regards, archaeologists’ engagements with death and the dead are contentious and problematic, emotional and political. For instance, in what circumstances if at all is it ethical to dig up and display human remains? What do people learn from meeting ancient people in museums and heritage sites? How significant is mortuary archaeology in our own present-day imaginings of prehistoric and historical societies, as well as fantastical and fictional societies portrayed in literature and film? Tackling questions such as these, osteoarchaeologists and mortuary archaeologists have often found themselves at the forefront of the public engagements for interdisciplinary and archaeological research. This book identifies a series of lacunae in recent discussions of mortuary archaeology’s interactions with contemporary society. It aims to re-evaluate the range and character of public mortuary archaeology critically through a range of case studies from the UK, Europe and farther afield. In particular, this book seeks to address a network of relationships between mortality, material culture and archaeological theory, method and practice through a series of themes that connect the digging, display and dissemination of mortuary contexts and remains with wider popular culture themes and media. 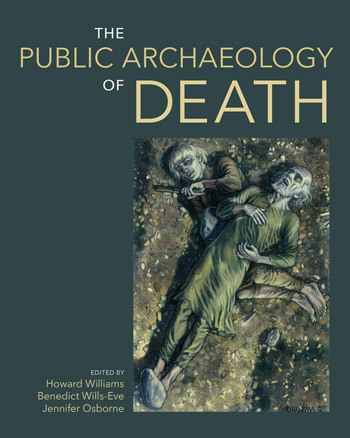 Introducing the ten chapters of the book which each explore different dimensions of the public archaeology of death, this introduction asks: why and how are the archaeologically derived traces of human remains and mortuary monuments “dead relevant”? In other words, how has mortuary archaeology, from catacombs to cremated remains, come to enthral and gain significance in contemporary society, and how does it continue to do so? Considering the diversity of archaeological field investigation, curation and display in museums, contestation and dialogues between archaeologists, stakeholders and descendent communities, and the publications and popular receptions of the archaeological dead in the arts, literature and media, as well as via ancient monuments and historic landscapes, the public archaeology of death is a vibrant field of future research. Marion Shiner, formerly of the Dyfed Archaeological Trust, is a doctoral research student at the University of Sheffield. Dr Katie Hemer is Lecturer in Bioarchaeology at the University of Sheffield. Rhiannon Comeau is a doctoral research student at the Institute of Archaeology, University College London. Between 2014 and 2016, three seasons of fieldwork provided a rare opportunity for public engagement with the rescue excavation of an early medieval cemetery and other features below St Patrick’s Chapel, Whitesands Bay, Pembrokeshire. As the St Patrick’s Chapel Excavation Project progressed it became apparent not only that bone preservation was exceptionally good, but also that a relatively large number of burials of all age groups, including infants, was present. This paper appraises public engagement with a high-profile rescue excavation that included an extensive, visible and emotive mortuary dimension. Details of the nature of public engagement and the challenges involved are presented, followed by a review of the public response to the excavation of a complex, sensitive and nationally important early medieval cemetery. Suzanne Evans is Archaeological Advisor to Llangollen Museum and history and archaeology lecturer at Llandrillo College. .
Much of the debate regarding mortuary archaeology’s public interactions has centred on the ethics and politics of displaying articulated skeletal material and fleshed bodies. In contrast, multiple, fragmented, dislocated and cenotaphic mortuary traces which populate museums across the UK have escaped sustained attention. Local and town museums, and also the distinctive narratives required in Welsh museums, have also eluded consideration. This chapter explores how smaller museums create environments in which networks are created both with other memorial places and landscapes in the vicinity, and between discrete museum displays. This chapter focuses on one case study – Llangollen Museum – to present and interrogate how a diversity of mortuary material culture combine to create a mortuary network associated with local history, heritage and landscape in this distinctive North Welsh context. Madeline Walsh graduated with an Archaeology degree from the University of Chester in 2016 before studying for an MA Medieval Archaeology at the University of York. The interpretation of early medieval deviant burials has come to the fore in recent mortuary archaeology debates. Yet, critical discussion of how early medieval execution cemeteries are portrayed in museums and other media has received no critical attention. Using the prominent case study of Sutton Hoo, Suffolk, this chapter reveals the interpretative and ethical challenges inherent in narrating and visualising later Anglo-Saxon judicial killing in the absence of well-preserved human remains, but instead through the recording and interpretation of carefully excavated ‘sand bodies’. Sian Mui is a postgraduate research student in the Department of Archaeology at Durham University. Laying out the dead body in an extended and supine position is very much a taken-for-granted practice in the contemporary western world, and it is frequently assumed to be the universal standard posture for the corpse. As we expect corpses to be laid out extended and supine, this portrayal is widely replicated and perpetuated in art, popular media and museums. This chapter reflects on the reproduction of corpse postures in two seemingly very different contemporary environments: film/TV portrayals and museum reconstructions. Contending that our idea of the “ideal” burial position is historically and culturally rooted in the trajectories of burial cultures in Western Europe, this chapter discusses the role of cultural expectations in informing the visual imagination surrounding mortuary practices, and explores the methodological and interpretive implications of such expectations in both academic and public contexts. 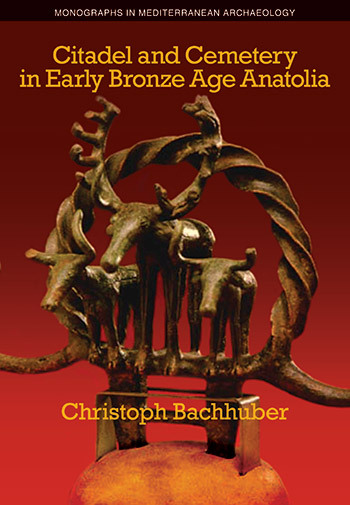 Chiara Bolchini graduated with an Archaeology degree from the University of Chester in 2016 before pursuing an MA in Prehistory and Proto-history of Northwest Europe at the University of Groningen, Netherlands. This chapter explores the visual use of human remains within popular archaeological magazines. Despite the abundant debates on issues such as the disinterment, treatment and presentation of human remains to the public, the widespread use of photographs of the dead within archaeological publications aimed at broad audiences still remains uninvestigated. Photographs can be a powerful tool and they can be used for several purposes, causing different reactions in the reader. They can have educational and scientific purposes and they can fascinate or have a disturbing effect on the public. 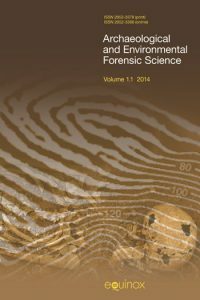 This paper will explore the presence and use of photographs of human remains in two year-long samples of two archaeological magazines: Current Archaeology and Current World Archaeology. Dr Leszek Gardeła is a DAAD P.R.I.M.E Fellow at the Department of Scandinavian Languages and Literatures, University of Bonn, Germany and at the Department of Archaeology, History, Cultural Studies and Religion, University of Bergen, Norway. In the Viking Age the dead were celebrated, commemorated, and forgotten in a plethora of ways which involved acts of speech, movement, as well as various other audio-visual effects. In order to better understand subtle aspects of death and dying in Norse societies, and to present these notions in a captivating way to academic and popular audiences, in recent years a number of archaeologists have started to actively collaborate with artists. Their combined efforts have allowed to recreate how various types of graves may have appeared at the time of burial. Today, reconstructions of Viking Age funerals and graves are frequently used in publications and museum exhibitions, but very little has been said about the methodologies and ethical concerns that stand behind their creation. This paper critically debates these issues, based on selected case studies and personal experiences of the author. Dr Aaron Watson is an independent researcher, Creative Director at Monumental Heritage Consultancy, and an Honorary Fellow in Archaeology at Durham University. Focusing on artist’s impressions of early Anglo-Saxon cremations, we reflect on the potentials and challenges of collaborations between artists and archaeologists to both convey the fiery transformation of the dead in the human past, and provide reflection on our society’s own engagement with mortality in which cremation has become a commonplace dimension. We show the potential of art to challenge pre-conceived notions and understandings of cremation past and present, positioning art as a key dimension of public mortuary archaeology. Sam Munsch graduated with an Archaeology degree from the University of Chester in 2016. He studied for an MSc in Forensic Anthropology at the University of Exeter. With the recent passing of the First World War’s centenary years, and the development of conflict archaeology into a widespread professional branch of the discipline, interest in human remains associated with First World War battlefields has rapidly increased. With this rising interest, a parallel growth in controversy surrounds ethical practice in conflict archaeology, particularly in relation to human remains. This paper aims to review how both the media and political groups exploit the remains of deceased individuals retrieved from First World War battlefields in the formation of selective narratives and commemorative strategies. Rachael Mary Nicholson graduated with an Archaeology degree from the University of Chester in 2016. Increasingly, mortuary archaeology is manifesting itself in virtual environments via online games as an integral part of contemporary culture. This chapter presents a review of some of the key ways by which mortuary archaeology is apparent within online gaming genres. The focus will be on MMORPGs (Massively Multiplayer Online Role Play Games) and MOBAs (Multiplayer Online Battle Arenas), focusing on a select number of games to illustrate the following themes: death as a mechanic for players, the use of permanent death, and games as mortuary spaces. Inspired by later medieval sagas and Viking Age historical sources, but underpinned and enriched by archaeological evidence and themes, the History channel’s Vikings (2013–) is a unique drama series exploring the late 8th/early 9th-century conflicts and culture of the Northmen, aimed at a global television audience. This chapter introduces the series and its varied portrayals of mortuary practice. From the portrayal of the deaths of chieftains and those slain in battle to family members and children, I identify key archaeological themes behind the depiction of death. This prompts discussion of mortuary archaeology’s influence on popular perceptions of the Early Middle Ages, the programme operating as education, entertainment but also reflecting on present-day anxieties over the nature of human mortality. Karina Croucher is Senior Lecturer in the School of Archaeological and Forensic Sciences at the University of Bradford. Her research focuses on mortuary archaeology and its relevance to contemporary society. Reviewing and reflecting on the volume, this Afterword aims to explore key themes and identifies suggestions for future research in the public archaeology of death. It discusses the value of student research (both to the discipline and the learner) as well as advocating taking a holistc approach to archaeological research, learning and practice. Well-produced and professionally edited.... There are no weak links in a collection of essays that consider how members of the public encounter the buried dead in museums, illustrations, photography and online games, at excavations and on TV.